We’re only four months into 2017, and already it looks as if this year could be the biggest and most important one yet for Bungie. Last month saw the developer usher in the final ever sandbox update for Destiny, bringing with it updated versions of all existing raids and more new loot than Guardians can shake a stick at. But while the so-called Age of Triumph event will no doubt keep players occupied for a good chunk of time, it seems they won’t have to wait too long to experience new adventures. Yes, the veil draped over Destiny 2 was officially lifted last week, with the reveal trailer (above) containing all sorts of juicy details, although it appears that Bungie’s not quite ready to showcase the sequel’s gameplay, which is scheduled to debut in a livestream next month. 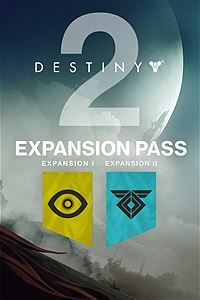 However, with a firm release date out in the open, pre-orders for the title are now available at various retailers, certain versions of which include an expansion pass for two post-launch pieces of DLC. See the image below, which provides some pretty strong hints as to the narrative focus of each add-on. Crucible lovers and competitive-minded Guardians will instantly recognize the first symbol as that of Osiris, the exiled Warlock after which the Trials of Osiris PvP mode is named after. Given the character’s backstory of having been banished to Mercury, it could well be the case that we’ll pay the planet a visit in order to find the mysterious figure. In regards to the second symbol, it represents the Warmind AI, artificial constructs originally conceived as a defensive measure to protect Earth from the spreading Darkness. One such AI – Rasputin – was given an important role in Destiny‘s The Taken King expansion, and has been referenced several times by various characters since, most notably in Rise of Iron during the SIVA Crisis. This is, of course, all speculation until Bungie makes it official, but given the strong connotations that both symbols carry, it seems likely that Osiris and Rasputin will be the major focus of each individual expansion. Destiny 2 is out September 8 on Xbox One, PlayStation 4 and PC and, alongside next month’s livestream, you can likely expect to see much, much more of the title at this year’s E3. Roll on June.